This weekend marks the unofficial beginning of summer and the height of the outdoor season for New Englanders. With any luck, most of us will have a chance to take a moment of reflection outside, enjoying the trails and conservation lands we have in Sudbury. While you’re at it, keep your eyes open for turtles, and don’t forget to wish them a belated Happy World Turtle Day, an annual observance to celebrate and protect turtles and tortoises and to highlight the threat of disappearing habitats around the world. 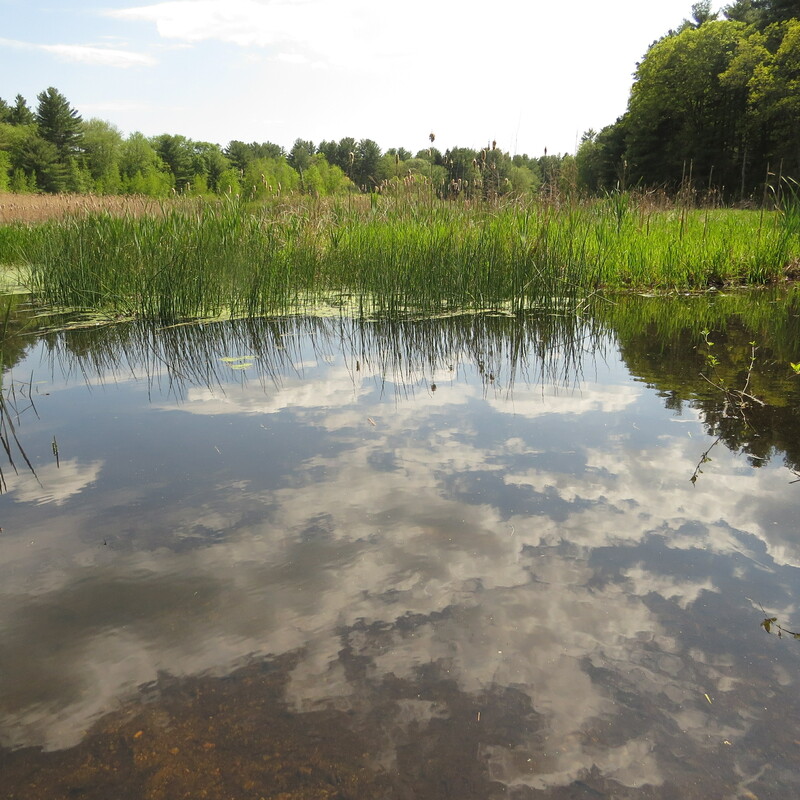 Eversource’s proposed transmission line project is just such a threat – running through protected conservation and wetland areas, its proposed 82 foot clear-cut of trees threatening to destroy, divide, and disrupt habitat all along the 4.3 mile section in Sudbury. 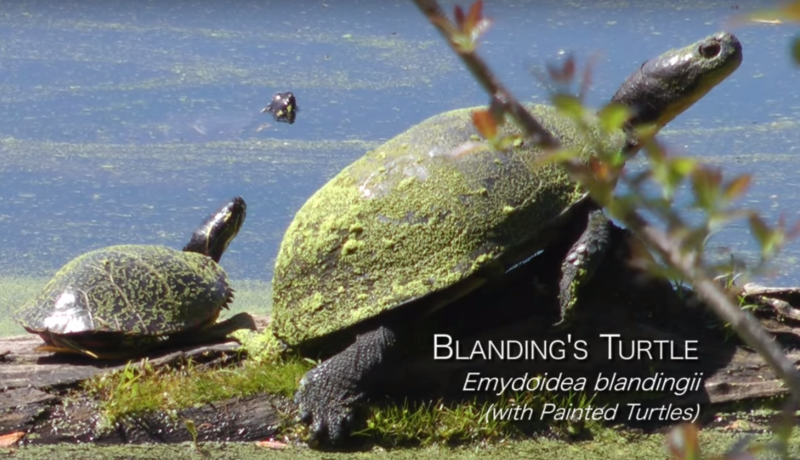 According to the Conservation Commission, Sudbury is home to seven species of turtles: Painted, Spotted, Musk, Snapping, Wood, Box, and Blandings. 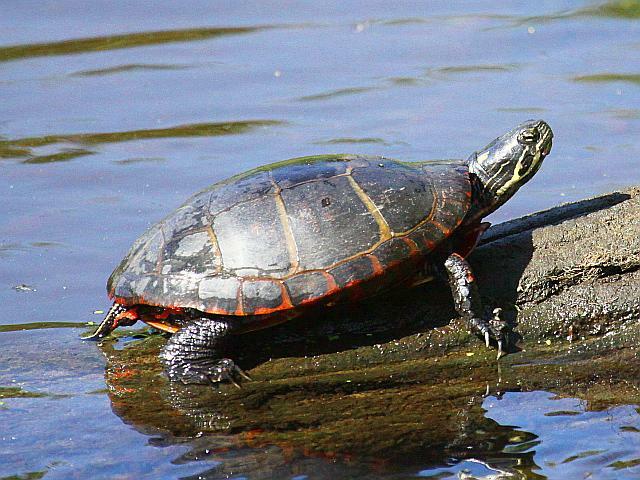 In wetland areas, keep your eyes open for painted turtles basking on rocks or logs; you may miss them at first and then notice their splash as they vacate a log or rock. Spotted turtles are similar to painted, but smaller with yellow spots on their back and tend to be found in isolated ponds and wetland areas. 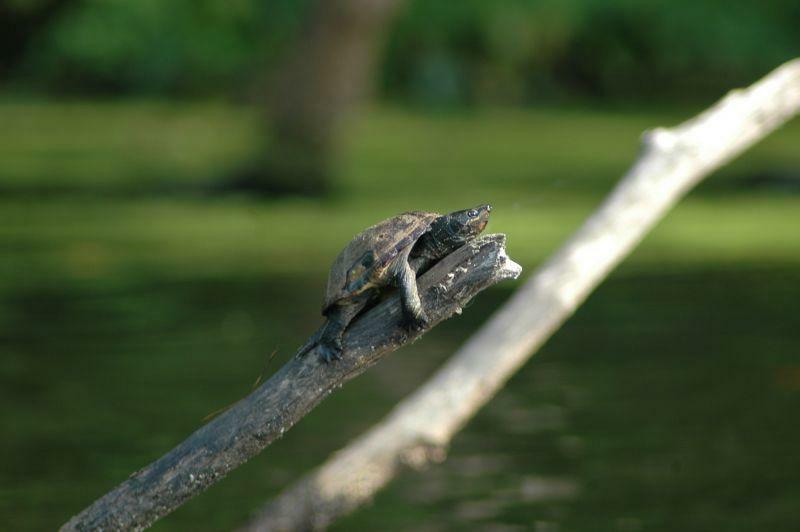 Musks are small aquatic turtles, common in Hop Brook, although not seen as often as painted turtles. The snapping turtle, almost prehistoric in appearance with its armor-like shell and the spiked ridge along the center, is a sight to behold, although stand back, as the snap is for real. 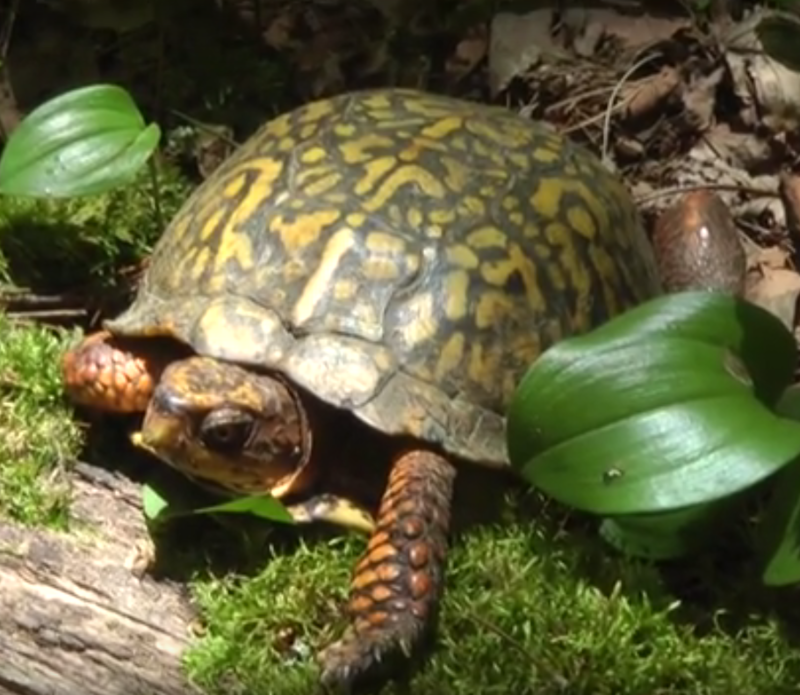 You’ll be lucky to spot an Eastern Box turtle, listed as a species of special concern by the Massachusetts Division of Fisheries and Wildlife. They were once common in Sudbury, but now are rarely seen, living in low densities in the woods. Wood turtles, also a species of special concern, divide their time between water and land, living in streams and rivers in winter and spring, moving onto moist woodlands for summer and fall nesting seasons. 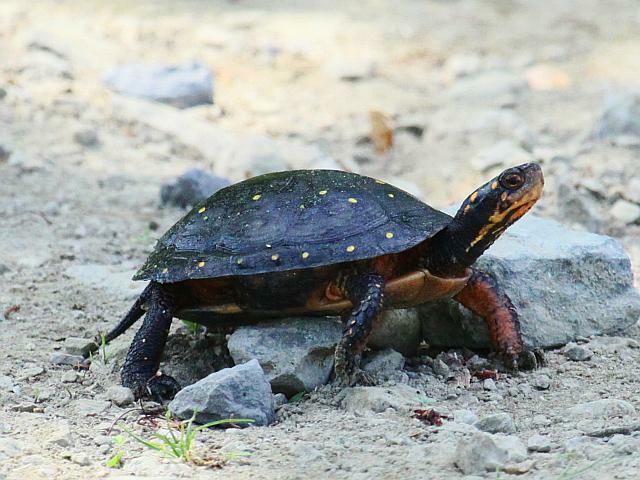 Blandings turtles, which are classified as threatened, are particularly vulnerable because they travel very long distances during their active season, especially nesting females in late afternoon and early evening and their nesting process can take up to five hours. As with so many species, the primary threat for all these turtles is habitat disruption and loss, in particular fragmentation of habitat connected to other unfragmented areas. As you get outside this weekend bring quiet feet, alert ears and eyes, binoculars, and of course observe, but don’t disturb. 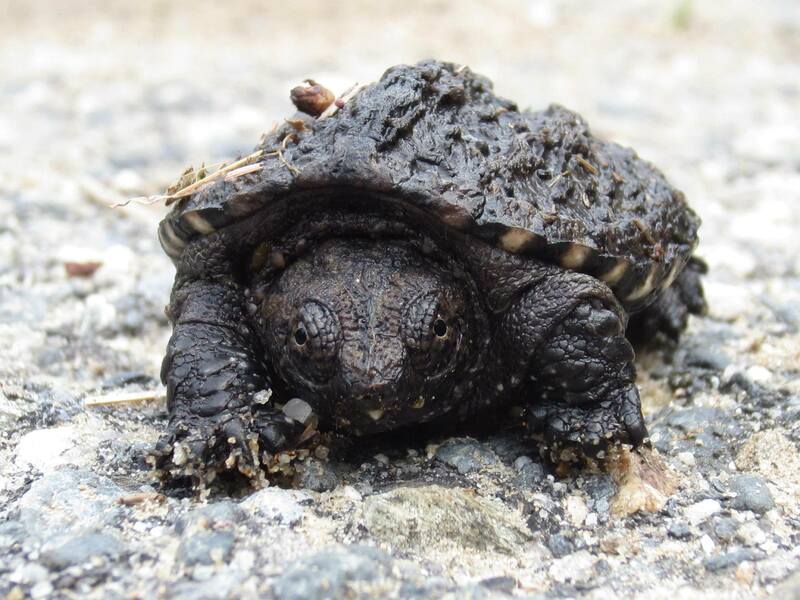 Walking through any of the woods along the rail bed right-of-way, you’re never far from wetlands, transitional uplands, and vernal pools that provide habitat for these turtles, not to mention dozens of other species of reptiles, amphibians, insects, birds, and mammals. They are all blissfully unaware of Eversource and its predatory plans for their home. That’s for us to worry about; but this weekend, just get out there and enjoy. 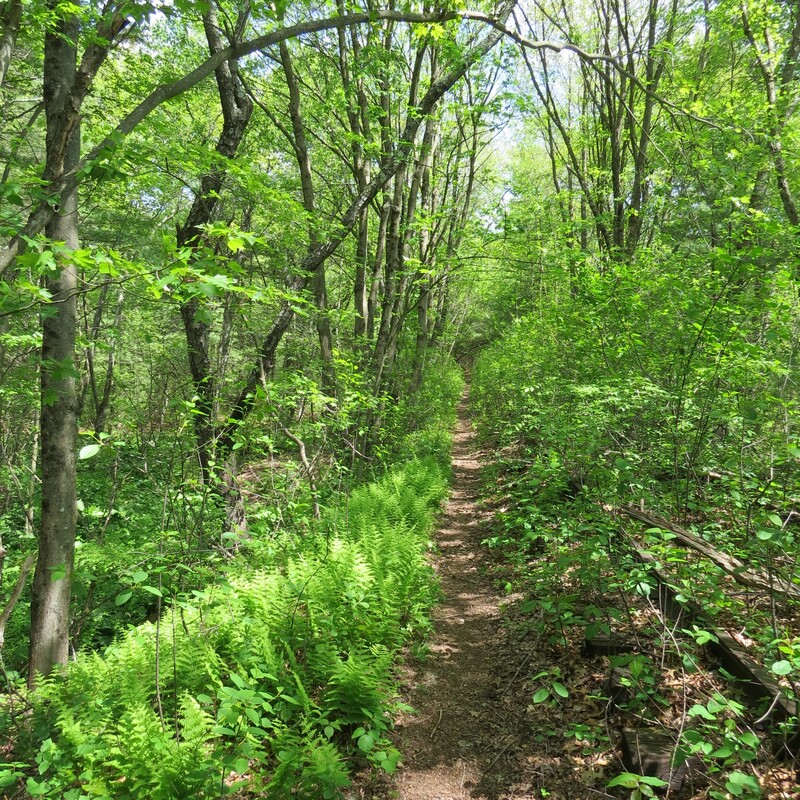 To support Protect Sudbury in its opposition to Eversource’s proposed transmission line project, donate to our legal fund here.